Yes, it does not make sense. I live near Brighton Beach station (Zone 1), which is a (good) stone’s throw from Dingley Village. The latter is covered by the CFA (ie, it’s in the country). Bizarre. It is the case that the boundaries were set over 50 years ago and have never been modified. I suspect that the main reason is what it would cost the government to run a larger metropolitan fire brigade. At this stage, CFA fire stations receive hardly any government money. For example, the Yarra Glen brigade a few years ago (possibly before the 2009 fires) was receiving approximately $1,100 a year from the government for its operation. That wouldn’t even buy the fuel to travel to fires and car crashes for a month. Yet in Yarra Glen, we have recently been moved from ‘rural’ to ‘urban’ as far as kindergarten funding is concerned, which means we now receive less money to educate children. It is obvious that the government will only change such boundaries if it will achieve a reduction in government expenditure. While I agree that the fringe urban firestations are cheaper as (volunteer) CFA rather than (professional) MFB or CFA, I suspect another reason is that it’s a hidden subsidy of the CFA by the metropolitan areas. One way of looking at the modern CFA is that it is a core ‘professional’ metropolitan fire brigade funded by the insurance levy (now by council rates). This would pay for some or all of the overhead costs (admin, training facilities etc). The ‘volunteer’ side consequently doesn’t have to pick up all the cost of providing their overheads. It’s much the same arguement as @Phillip, by having a professional side of the CFA paid by metropolitan levies, the government doesn’t have to tip in as much money to support the volunteer CFA. Should their even be a boundary? Why not have just the one fire brigade? All valid arguments, but, does it really matter?. As long as we are adequately covered by trained firefighters I don’t care if they are MFB (actually they’re MFESB now) or CFA. In fact I have seen both organisations turn up to the same event more than once. If we rationalise the boundaries based on the area they cover, what will happen to the bigger rural cities like Bendigo or Geelong etc. where they have CFA Urban units. It would make no sense to have these covered by MFB, apart from anything else where would they park the Region Spare truck. Ultimately, would it be better for the MFB to specialise on urban fire fighting, and the CFA on rural areas? It’s all cost. Some CFA stations in Melbourne have professional staff, most have volunteers. I believe Dandenong and possibly Frankston are 24 hour paid staff stations, the others, where they exist, are not. It certainly would make more sense to extend the boundaries and have the MFB cover these highly developed and populated areas. But Local Governments don’t want to stump up the necessary money. So, outlying (and even not so outlying) places get part time professional protection, and part time protection from volunteers. Not that I discredit volunteer emergency workers, they do a great job, but…it’s not realistic to say that Dandenong, Bayswater etc, long developed suburbs with high populations, are suited to such conditions. As for rolling the CFA and MFB in to one organisation…good idea, but isn’t going to happen. – My understanding is that there are some technical issues (different hose sizes in different areas – you can fit an adapter though). I believe this entire thread is a little on the naive side. Cfa volunteers ARE professionals, I know as I have been one for over 10 years on the border with mfb. Cfa stations all have volunteers, some supported by staff. The model works quite well, we cover many millions of Victorians and countless businesses and houses, in our 90% of the state. Yes, we are world leaders in bush fire fighting. We are also (both staff and volunteers) some of the best equipped and trained urban firefighters in the country. I personally have much higher training than the average mfb staff member. On the money front, somebody mentioned $1000 per year. This is usually the discretionary fund, fuel, trucks, uniforms, training, maintainence etc are covered out of other budgets and brigades often fund other works and equipment upgrades via communi grants and local donations. The suggestion about merging has been batted about for a long time. It is unnecessary as MFB cover an area that required high equipment-low personnel stations. Cfa currently offer a mix of top equipment and greater personnel resources. The main misconception is in our name. 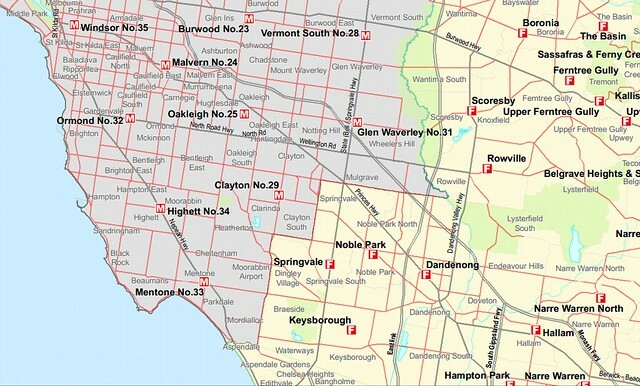 Perhaps VFA would be a better title, as we have always covered substantial areas of Melbourne. Don’t take any of this as a knock to MFB, I’m just saying we work well together both provide a concerted and professional fire and emergency response to our communities. ignorance and arogance – do some researxh before making such claims. @Anonymous, care to let us know who are you disagreeing with, and why? with Staff and Volunteers working together for the best outcomes for Suburban, Regional and Rural Victorians. To simply do away with volunteers (in urban areas) would be a financial burden on Victorian, and politically is hot potato no one would want to have the honour of catching. There are manned stations (24 hours) the likes of Frankston, Patterson River, Dandenong, Springvale, Hallam, Rowville, Boronia, Eltham, Melton, Point Cook, Werribee and more are part time staffed. Also in Geelong, and regional centres across the state. The volunteers are fully trained in Urban firefighting, and the needs of the local areas, whether there is hazardous materials, rescue or other hazards in the said area. Brigades all across the state are constantly reviewed for performance, and are answerable for errors. The MFB have their own challenges, such as heavy urban populations and a wider scale and diversity of threats within a smaller area.. There probably will be changes in the next few years, the first sign of this is having both Emergency Services and State Fire Commissioners, which points to better integration between services, which includes SES and Parks Victoria/DEPI fire services.. But your thinking, along the lines of have we not moved, is as old as the perceived divide itself. It’s not broken, so why fix it?